Gut Nutrition Formula (GNF) from TRM contains an effective prebiotic plus beneficial levels of calcium, magnesium with high concentrations of glutamine and threonine. Includes added seaweed extract and specific minerals which help in recovery and maintenance of a healthy digestive tract. It will aid in maintaining optimal gut function, allowing maximum utilisation of feed for horses prone to gastric upsets. 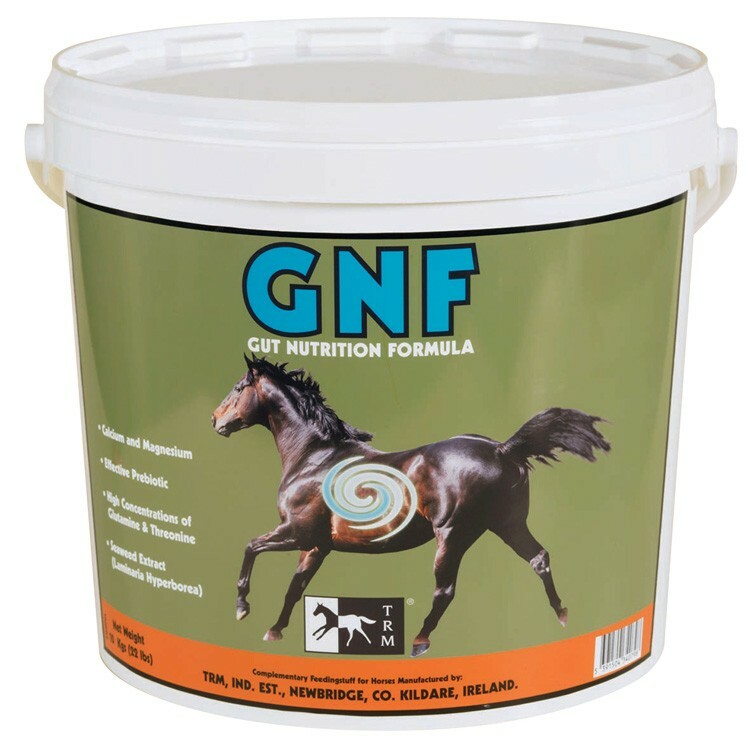 There are currently no questions for TRM GNF Gut Nutrition Formula for Horses - be the first to ask one!